Situated right at the tip of Willingdon Island, Taj Malabar offers the perfect entry point to God's Own Country, Kerala, with magnificent views of the Kochi harbour and beautiful backwaters. Taj Malabar also has Kerala's only authentic Thai restaurant.Checkin to the hotels and go for a walk in the marine drive in the evening. Overnight stay at the hotel . Explore Kochi and Fort Kochi and Mattancherry.Visit the Jewish Synagogue built over 400 years ago, containing beautiful Belgian glass chandeliers and paved with hand pained tiles from China; the Dutch palace with its wonderful murals depicting the entire story of the Ramayana; St:Francis Church which was the original burial site of Vasco De Gama and which is the first European church that was built in India and the fishing in the Fort Kochi beach using the Chinese fishing nets. Overnight stay at the hotel. Azure backwaters, swaying palms, and floating houseboats. These are a few of the things that inspired English Missionary Henry Baker, in the late 19th century, to acquire land on the banks of Vembanad Lake. Today, it is known as the Taj Garden Retreat, Kumarakom. 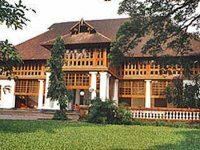 Often referred to as the little jewel of Kumarakom, it still maintains the beauty of its rustic surroundings. The 123-year-old colonial bungalow houses newly built Luxury Villas, heritage rooms and charming cottages. At this idyllic retreat, guests can look forward to practicing the art of doing nothing or keeping themselves busy with a variety of experiences, from nature to adventure, from culture to cuisine, and from rejuvenation to religion. After breakfast proceed to Kumarakom Bird Sanctuary and enjoy the scenic surroundings.Enjoy the scenes in a Kerala country side -skim past Chinese fishing nets, bowed down paddy fields, local inhabitants engaged in making coir products, rustic homes and swaying coconut palms. All meals will be served on board. Overnight stay at houseboat. 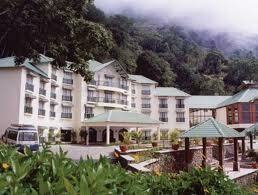 Return to the resort after sightseeinga and do a complimentary consulting with Ayurveda doctor. Spend evening relaxing near the beautiful Vembanadu Lake at the resort. After breakfast checkout from the Taj Garden Retreat in Kumarakom .We will proceed to Alleppey and check in to a premium gold rated houseboat. Set out on an enchanting overnight backwater cruise in traditional Kerala Houseboat after lunch. Sit back and relax while the boat cruises through the narrow serene backwater canals of Kumarakom and Alleppey. Overnight stay at houseboat. Located on one of India's most popular beaches, Kovalam, Taj Green Cove is spread across 10 acres of land, offering a breathtaking view of the backwater, lush landscapes, coconut palms, and unspoiled beaches. With its exotic tropical beauty and relaxing hospitality, this getaway is the perfect place to enjoy relaxation and rejuvenation of the mind, body, and soul.Enjoy the beach and the evening sunset. Overnight stay at the hotel. Enjoy the morning at your leisure and checkout of the hotel after breakfast. We will drop you back for the departure flight back home from Trivandrum/ Kochi for your trip back home, feeling contended about a wonderful honeymoon you spent at God's Own Country like so many of our guests. 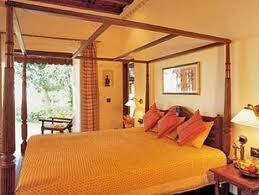 Accomodation - Superior Rooms or Cottages at Taj Hotels specified in the itinerary. Bolgatty Palace Hotel is located at Mulavukadu. It is nearly 30 km from the Cochin International Airport and the Ernakulam Railway Station is walkable distance from the hotel. They organise short trips to the nearby sightseeing attractions. Bolgatty Palace Hotel has 34 rooms, which are categorised into Deluxe and Lake Front Cottage. They have an in-house multicuisine restaurant. The amenities available at Bolgatty Palace Hotel are doctor on call, travel desk, car rental, room service, car parking, laundry service, deposit locker, television in the rooms, internet browsing facilities, currency exchange services, STD/ISD/Fax and hot/cold water. They have a swimming pool and facilities for ayurvedic treatment. All major credit cards are accepted by the hotel. You can do it all at Munnar, at our resort, poised at the peak of a hill with a panoramic view of the mountain covered with lush greenery. The Cherai Beach Resort in Vypeen, Kerala is situated amidst paddy fields, backwaters, and coconut trees. The health resort has an Ayurveda centre that offer massages and rejuvenation therapies. The beach stretches right in front of the resort. Water sports like swimming, fishing, boating, canoeing and backwater cruises can be organized. The resort also offers sights seeing tours. There are 10 villas along with 20 modern villas (both A/C and non-A/C) with cable TV, hot water, refrigerator, and phone. A 6-bedded villa is available for group accommodation and day picnics. There are 3 restaurants, an open-air restaurant, and a third where barbecues and buffets can be organized. Facilities include laundry service and dry-cleaning, travel desk, STD/ISD and fax. Well furnished A /C and non A / C rooms with attached bathrooms, hot and cold. The design of this 5 Star luxury resort draws inspiration from the Vijayanagara Empire and Goa’s Portuguese heritage. Close to the fishing village of Mobor and the River Sal, this resort is set on the secluded Mobor Beach. Spread over 75 acres of gardens, the landscape of the resort is interspersed with manmade lagoons. The resort has 152 rooms. Pavilion rooms, lagoon & lagoon deluxe suites, presidential & club suites and royal villas are options. All rooms are A/C and lagoon-facing. Non-smoking rooms available. Amenities: laundry, money changer, health club, restaurant, liquor license, spa, water sports, nightclub & casino, cable tv and mini bar. Palm Tree Heritage in Varkala Kerala - Living in this small peaceful Beach resort. 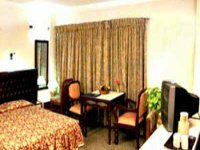 Quality Rooms for Accommodation in Palm Tree Heritage Varkala Kerala Beach Resort, Best Accommodation in Varkala Beach, Eco Friendly Resort at Varkala.If you want more adventure we can offer interesting tours in Kerala. You can also try Yoga and enjoy the Kerala special Ayurveda treatment. This will give you a new body and soul after your vacation. Welcome to Palm Tree Heritage in Varkala. Living in this small peaceful resort on the beach will give you a pleasant vacation time. For more adventure we can offer you some interesting tours in and around Kerala. A rejuvenating Kerala ayurvedic massage treatment and a refreshing yoga session would make a world of goodness to your body, mind and soul. The eco friendly sea side restaurant offers you a wide range of foods from fresh seafood to green vegetables cooked with passion under most hygienic conditions. Our goal is to give you a high quality living and a nice vacation at the Palm Tree Heritage. Sitting on a sandy stretch of private beach, Palm Tree Heritage in Varkala offers charming sea-facing rooms. Aside from yoga lessons and Ayurvedic massage, guests can dine at the on-site restaurant. Palm Tree Heritage is 55 km from Trivandrum City and Trivandrum Airport. Free parking is available. Leisurely afternoons can be spent playing beach volleyball or sun tanning. Scenic strolls by the beach can be enjoyed when the evening sun sets. There is also a tour desk and 24-hour front desk. The beach-side restaurant serves a selection of local Kerala cuisine and other international dishes. A daily Continental breakfast is also offered there. Hotel is situated in the center of the city on Parade Road and is close to major tourist attraction, shopping and business center of Cochin. The Malabar House is situated in the middle of an heritage building and is facing the St. Francis church. An impressive collection of art is incorporated here in rooms and around the hotel but still Malabar House is able to offer several luxuries. 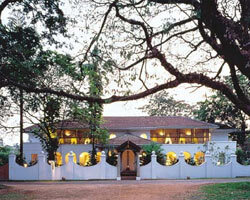 Rich culture that once surrounded the Fort Cochin again become alive at hotel The Malabar House. Hotel have a ditinction of being the first hotel to be classified as a heritage classic hotel in south India by the government of India. 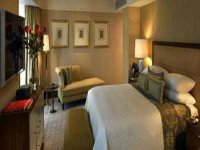 Hotel offers 17 luxurious rooms and suites to its guests. 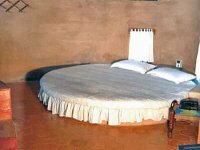 Rooms have air conditioning as well as natural vantilation that can be chossen according to guests preferences. All rooms have been furnished with keeping into mind comforts of the guests. Still the furniture in rooms and suites is that off bygone era and have been selected after careful screening. The hotel rooms have been restored recently and are now much better and more comfortable then before. Purified Water, Safe Deposit, Cable Television with Satellite Channels, Fan, International Direct Dialing Facility, 24 Hour Room Service, Bath, Air Conditioned, Air Cooled. Airport Transfers, Business Center, Meeting Facilities, Money Changer, Parking, Photocopy Service, Power Back-Up, Restaurant, Secretarial Services, Car Parking, Doctor On Call, Fax Service, Fire Safeguards, Health Club, Station Transfers, Swimming Pool, Travel Desk, Currency Exchange Facilities, Luggage Storage, Post, Pool and Laundry Facilities.